Jamaica, Jamaica - 1 person likes this. About 90 miles south of Cuba lay the third largest island of the Greater Antilles. Its name is Jamaica. The island's surface area is 4249 square miles and it is nestled in the heart of the Caribbean Sea. It also happens to be one of the most sought after tour destinations. About 90 miles south of Cuba lay the third largest island of the Greater Antilles. Its name is Jamaica. The island's surface area is 4249 square miles and it is nestled in the heart of the Caribbean Sea. It also happens to be one of the most sought after tour destinations. 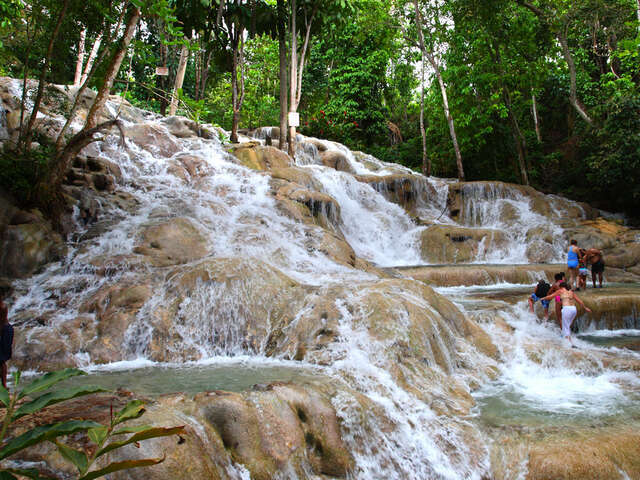 So if you are one of these travellers, make sure you know the following facts about Jamaica. Under Spanish rule, the island was known as Santiago. In 1655 it came under Great Britain and its name was changed to Jamaica. After US and Canada, it is the third most populated Anglophone country in the Americas. It has a population of 2.8 million. The country's capital is called Kingston. Jamaica is a member of the Commonwealth Realm and as such Queen Elizabeth II is its head of state and monarch. The island's official language is English and it practices a unitary parliamentary constitutional monarchy system of government. The first European on the island was Christopher Columbus. However, at around 4,000BC the South American tribes of Arawak and Taino had settled there. Apart from Reggae, other popular Jamaican music genres are; Ska, Mento, Dancehall, Ragga, Dub and Rocksteady. Popular Jamaican dish is Jamaican jack spice while drinks include Red Stripe Beer and Jamaican Blue Mountain Coffee. To get to Jamaica, you can use the Norman Manley International Airport in Kingston or Sir Donald Sangster International Airport in the resort city of Montego Bay. Of all the things Jamaican, their sprinting team lead by Usain Bolt and their dancehall beats make them unique. You will have a lot of fun here.